Being in the field of education, the sangha identified in 1945 the necessity of a degree college in Bellary region to cater to the needs of the people in higher education. As a founding father came forward then active president of the sangha Sri.Yechi Reddy Mahabaleshwarappa with all enthusiasm and earnestness to swim against the strong current of the madras government policy of neither giving permission easily for private colleges nor the government itself opening new colleges and to establish a College. 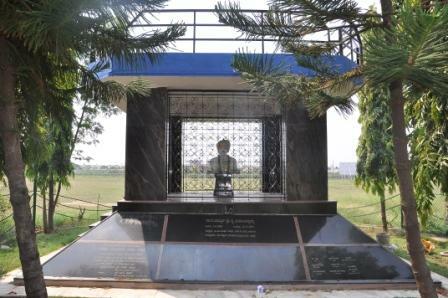 As he was then the President of the District Board and reputed public figure through the state for his able, efficient and honest administration, making use of his good offices succeeded in collecting three lakhs rupees from donors. On the personal request Sri.Y.Mahabaleswarappa seeking the permission to open a college, the Vice Chancellor of Madras University Dr. Lakshmana Swamy Mudaliar came to Bellary, conducted a survey , held discussions and granted permission to open the colleges on the condition that the required norms must be fulfilled within three years. Thus took Veerashaiva College its birth in 1945. The College had to face number of problems in its infant stage. But the untiring and persistent effort and perseverance of Sri.Y.Mahabaleswarappa could make the college overcome all the hurdles and proceed forward victoriously with majestic steps on the path of prosperity. From the year 1960 the College, under the Principalship of Sri.D.Mariappa, Sri.Allum Karibasappa and Sri.N.Thippanna as President and Secretary of the Sangha respectively, got a turning point with ensuring expansion, development and consolidation in the period of more than two decades. College became full–fledged with the introduction of basic subjects in Arts, Commerce and Science faculties. Also there was the infrastructure improvement like buildings, laboratories, library, equipments and furniture etc. College received state and central level grants. It got permanent affiliation from Mysore university and the government in 1964. Soon after, the Karnataka university recognizing the prestigious state of the College and Sangha recommended grant of autonomous status to the College.